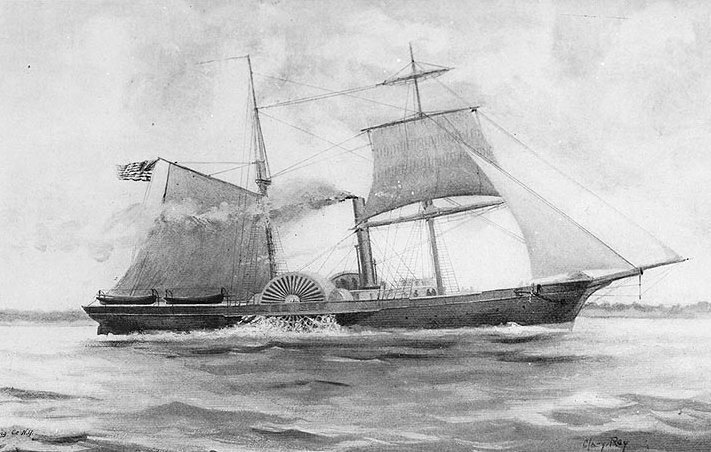 USS Harriet Lane , a 750-ton side-wheel gunboat, was built at New York City in 1857 as the U.S. Revenue Cutter Harriet Lane . In addition to carrying out her Revenue Service duties, she served with the Navy during the Paraguay expedition of 1858-59. 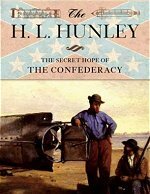 Returning to Navy control in late March 1861, as the secession crisis deepened, Harriet Lane took part in the attempt to relieve Fort Sumter when that vital position in Charleston harbor, South Carolina, was beseiged by Confederate forces. While so engaged, on 12 April 1861, she fired the first U.S. Navy shot of the Civil War. 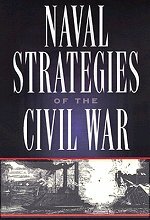 In early June 1861, Harriet Lane exchanged fire with an enemy battery near Newport News, Virginia, and in late August participated in the Navy's initial major combat operation, the capture of Forts Hatteras and Clark at Hatteras Inlet, North Carolina. 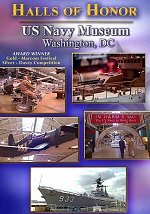 She was formally transferred from the Revenue Cutter Service to the Navy in September. Also during 1861, Harriet Lane captured four prizes while enforcing the blockade and, in December, fired on Confederate positions at Freestone Point, Virginia. Harriet Lane was sent to the Gulf of Mexico in February 1862 to serve as flagship of Commander David Dixon Porter 's fleet of mortar schooners. While en route, she engaged Confederate artillery at Shipping Point, Virginia, and captured a sailing vessel off the Florida coast. During March and April, Porter's mortar flotilla played an important part in the operations that led to the capture of New Orleans. Harriet Lane accompanied this force at that time, and during some of its subsequent activities on the Mississippi River below Vicksburg. In May 1862, she also assisted in the occupation of fortifications at Pensacola, Florida. 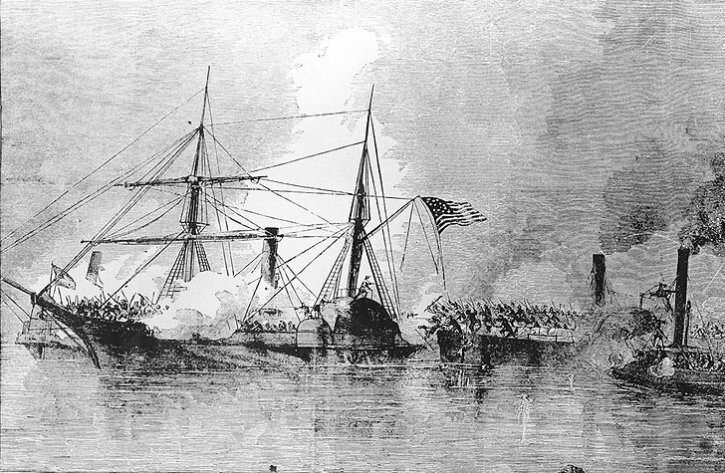 After serving on the blockade off Mobile, Alabama, Harriet Lane participated in the early October 1862 capture of Galveston, Texas. She remained in the Galveston area and, on 1 January 1863, while inside Galveston Bay, she was boarded and captured by Confederate troops operating from the steamers Bayou City and Neptune . Following this bold action, which resulted in the recovery of Galveston by Southern forces, Harriet Lane was employed by the Confederate Army in Texas waters. In about early 1864, she was sold and converted to a blockade runner. Renamed Lavina , she left Galveston in late April and went to Havana, Cuba. Interned there through the end of the Civil War, she subsequently became the sailing merchant vessel Elliot Richie and remained in commercial service until May 1884, when she was lost off Pernambuco, Brazil. Engraving, published in "History of the Confederate States Navy", depicting Confederate troops boarding Harriet Lane from C.S. gunboats Neptune and Bayou City . Halftone reproduction of a wash drawing by Clary Ray, circa 1898.